June, July & August are officially the wedding season months. So whether you’re planning a Summer wedding or even planning to attend one, our savvy tips and tricks will make you ready to face the wedding bells. Bridal Makeup is obviously very important to the Bride. One tip that will always come handy is to sort out your make-up artist in advance. It will help to visit a few salons, gauge prices, talk to Make-up Artists and have a little consultation session before making your final decision. Most beauty salons in East London & Essex will have a Bridal Makeup gallery or catalogue that you can go through. It’s always a good indication of what you can expect from them, also allowing you to choose a set of looks that you can shortlist for your wedding week. Have a look at Bridal Makeup seasonal trends in magazines to see what’s fresh and keep cut outs which you can show to your Make-up Artist for reference. At the end of the day however, Bridal Makeup is for your special day so select a look that brings out the best in you, makes you look radiant, happy and confident. Experiment with shades and textures but ensure they suit your face shape, skin tone and personality. Bridal Hair is another aspect of Bridal Beauty that will bring your make-up and outfit together. It can make or break a look if it’s not flattering so again, select a few hairstyles that you have your eye on from the catwalk and magazines and ask a Beauty Salon to give it a test run for you in a consultation session. Have a look at their previous work as well as you might like something that you didn’t know existed. Keep basic rules in mind such as if you have a full round face, don’t opt for up dos and so on. If your hair is prone to becoming a frizzball in the hot, humid months of the peak wedding season then opting for a Permanent Straightening or Brazilian Blowdry will be beneficial in the long run. 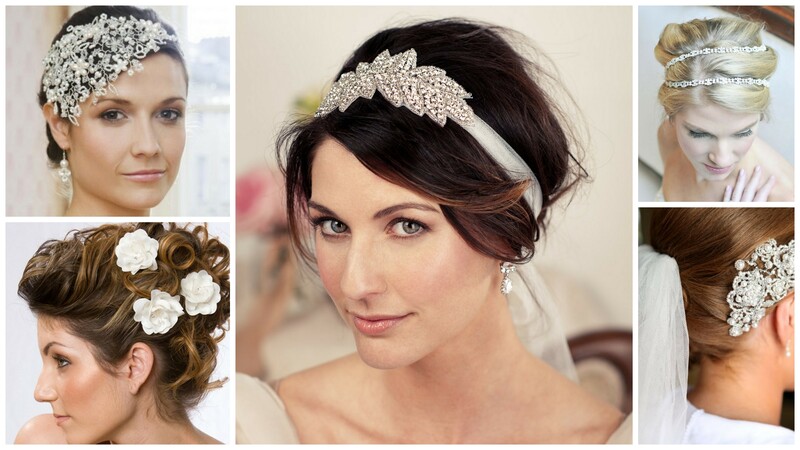 Start hunting for hair accessories in advance once you have an idea of what hairstyle you will be going for. White floral hair accessories, pearl combs, delicate textured lace and rhinestone headbands have made a come back this season. Opt for coloured henna to give you an edge! Bridal Henna is not only a tradition any more and the use of jewelled accessories, colours, glitter, rhinestones and sparkle have taken Henna to another level. It is the most beautiful jewellery for a bride, bridesmaids and attendees in a South Asian wedding. 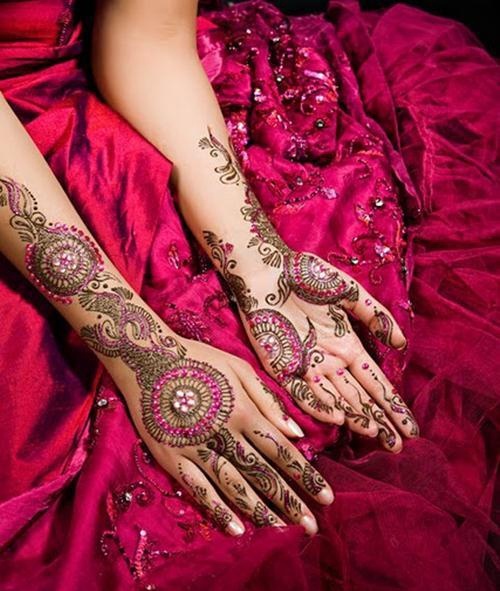 Whether it’s to write the grooms name or for a henna party with the girls, look for an experienced henna artist in advance who knows exactly what you’re looking for and how many friends and family you need covered in their service. There are a tonne of henna designs to choose from but have your say in whether you’re looking for something more modern and fresh or traditional and detailed.